Ulamog, the Ceaseless Hunger can hit lands as well. And of course Argentum Armor. 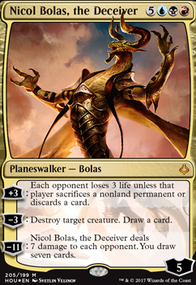 @Fenix15 Phyrexian Delver creates an additional body for Razaketh to sacrifice. @Niahburn I do not have much experience playing against blood pod because nobody I play with owns it in paper and my online practice dropped off before the deck became super popular. 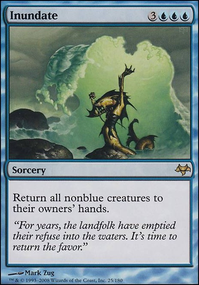 That being said, some good anti-hate cards are stuff like Wipe Away, Reclamation Sage, Natural State, Gilded Drake, and a few others that can be catered to what you face specifically. @Lazaruz13 I have always been opposed to Telepathy because it does nothing that a little foresight and caution can't handle. If you are interested in this effect Gitaxian Probe will be able to accomplish, provided you have a read on your meta. Scroll Rack is really slow. It seems like Sylvan Library provides the same advantage faster and with a negligible cost. The synergy of putting things on top to be milled with Sidisi is cute, but ultimately not worth it in cEDH. @KIngWiggins: How do you feel about my Yuriko, the Tiger's Shadow, Wipe Away SL for your Gitaxian Probe SL, Daze, Garruk, Primal Hunter and Kruphix, God of Horizons? I am looking to put the finishing touches on my U/R Storm Deck, as well as get a few things to trick it out. At the same time, I have a few cards I would like to get for a few EDH projects, and potential get some cards for my new Modern project Bogles (Not on this list but have in wants/can look at binders). Since you already have Spirebluff and vents. I recommend getting 4x Shivan Reefs and go with the fetchless build instead. Also the balanced number of bears is 4x Baral, Chief of Compliance and 2x Goblin Electromancer. However, this is for the fetchless build. You might also want to go for Opt instead of the scroll. and the Peer through depths replaced with 1x Unsubstantiate and 1x Repeal or any bounce cad you prefer. Personally I like a mix of Repeal and Perilous Voyage in the mainbaord. Sideboard is sort of meta based. Although I would like to suggest the addition of 2x Pyromancer Ascension. Possibly removing thing and dispel, swan song is most effective in dealing with your negates, specially you would probably be using it to counter something that's targeting past in flames against a control match up. If ever you can fit in 1 more Echoing Truth in the side that would be neat as well. Or if you prefer Wipe Away to deal with Relic of Progenitus before it gets sacrificed. 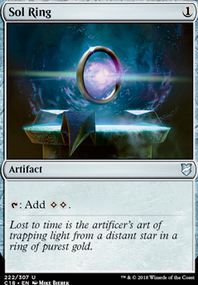 Advice: Relic of Progenitus is a solid sideboard card. 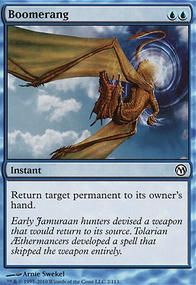 A spicy and underrated sideboard card for storm is Quicken to go off at instant speed. For the mainboard, definitely cut Tormenting Voice and replace it with one mainboard Wipe Away, a Thought Scour or two, and 1-2 Peer Through Depths. Awesome! Please don't forget about Steps 3 and 4 above ... we've love to pass on some Tips and Tricks, read your tournament reports, and generally talk about Ponza with you! Good luck (and good skill) with the deck! Short story: IMO, Trinisphere is better in most metas, but Damping Sphere seems like a pretty good budget replacement, which will hopefully bring the price of Trin' back down to manageable levels. Thorn of Amethyst is a semi-budget option as well. They all nerf Bloodbraid Elf (making the Cascade spell cost more to cast) ... Trin' is the worst for us there, then Damping Sphere, then Thorn. I personally don't mind this (e.g., when I want Trin' in a match-up, I REALLY want it, so don't care about the nerf), but some just hate it. 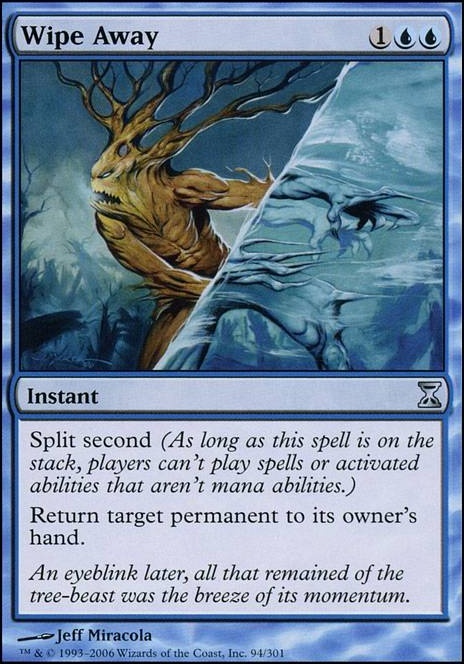 We need a dork or Sprawl to play Trin' on Turn 2, so we would mulligan a little less often with Damping Sphere or Thorn. Mid-game, it's trickier for us to cast multiple spells per turn too. This most often happens vs. Control, where we're trying to cast 2x 3-drops so Trin' is better in this case, then Thorn, then Damping Sphere. Trin' makes us pay (3) for a Bolt, which feels pretty bad. Storm: Damping Sphere is better. 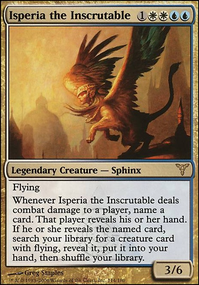 Trin' makes Baral/Electromancer useless and makes it VERY tough for them to go off without a Repeal or Wipe Away (e.g., 8x Cantrips, 8x Rituals, 1x Gifts, 1x Past In Flames, and 1x Grapeshot for 18 costs (60)). But Damping Sphere makes it impossible for them to go off (e.g., the same sequence costs ~(200)). Thorn is the worst of the three (e.g., the same sequence costs (54) without Baral/Electromancer and (35) with one of the cost reducers. We can also shore up the match-up with more removal and graveyard hate. Bogles: Trin' is amazing in this match-up (since they run so few Lands, it's easy to keep them from being able to cast spells at all). Damping Sphere and Thorn are OK but not great. We can also shore up the match-up with Enchantment hate. Burn: Trin' is great in this match-up (forcing an opp to pay (3) to cast a Rift Bolt after it comes off Suspend is such a good feeling). Damping Sphere and Thorn are OK but not great. We can also shore up the match-up with more removal and lifegain. Gx Tron, Eldrazi Tron, and RG Eldrazi: Damping Sphere is great in these match-ups, while Trin' and Thorn are pretty much useless. Gx Tron doesn't need much help; we can shore up the Eldrazi tron and RG Eldrazi match-ups with big Creatures and more removal. Ad Nauseum and As Foretold: Trin' is great here. Ux Control: Trin' is better, since it complicates their counterspells + cantrips in the mid-game, and makes Bolt-Snap-Bolt cost (9) in the late game. Grishoalbrand and UR Breach: Trin' is better, since it complicates their early cantrips. Holllow One, Mardu Pyromancer and 8-Whack: Not sure, but I think Trin' is probably better. Sorry for the wall of text. Hope that helps!